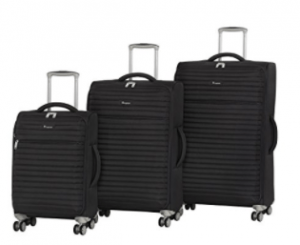 This is a sleek and modern, soft and lightweight and expandable set of three pieces of polyester suitcases as part of the “it Luggage Quilte Collection”. Color options include black, flint grey, patriot blue, petunia and Rio red with the same prices except for the petunia. 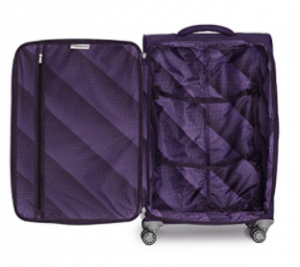 The material used on these suitcases is polyester which makes them soft and lightweight. Being a budget-priced luggage set, polyester fabric is used here but with a higher denier rating, it seems to have a thicker fiber, that makes it stronger, heavier and more resistant to impact. 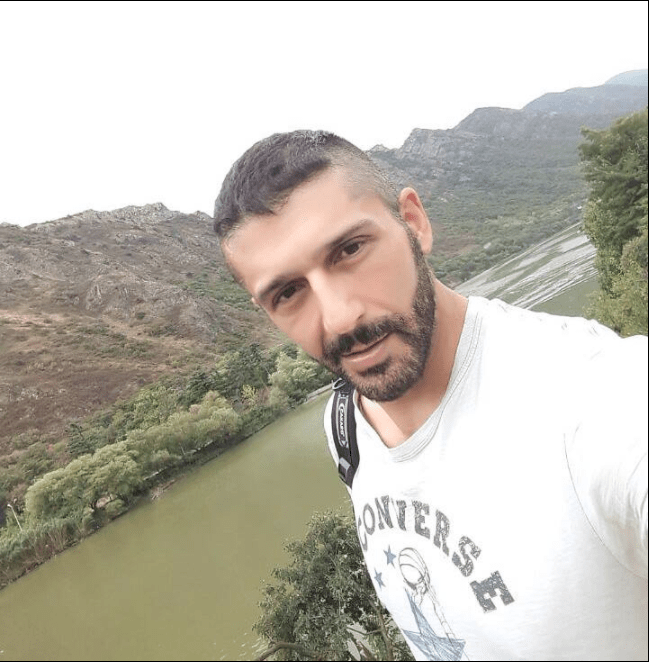 They have a large fully lined interior with a big zippered section, mesh pockets and two tie-down straps and convenient easy-access pockets for things like passport, ID card, and boarding pass as well as any paperwork you may have. These bags are easily maneuverable thanks to the eight rolling wheels underneath and the handy semi expander at the base. They roll smoothly not just on the hard surfaces airport terminal and parking grounds but also on the carpet. The bags stay stable and strong with the special case platform, the location of the expander, and the eight spinner wheels that rotate in all directions. This is also helped by the solid yet lightweight one-touch aluminum telescoping handle and connected tubes that help reduce the weight and enhance the strength. The side and top handle are soft to touch and easy to grab. You have a small 20” carry-on luggage that weighs only 5 pounds and measures 21.5 x 14 x 8.5 inches with the wheels (+2” of expansion), a medium 24” suitcase that weighs 5.95 pounds with the dimensions of 27.4 x 17.3 x 10 inches (+2.8” expansion) and a large 28” suitcase with a weight of 6.75 lb. and the measurements of 31.3 x 19.3 x 11.2 inches and 2.8″ expansion. The large and the medium need to be checked in before your flight and you can take the smallest one onto the plane with you. But you will be a lot less likely to be over the luggage allowances with these lightweight suitcases, even when you pack lots of clothes and other stuff in them. You will receive them shipped nested into each other and this is how you can store them to save on space. Color choices are nice and you will easily spot them with their unique design and colors. Please have a look at the colors and the price information on Amazon.com product page. Despite having soft polyester exterior they shall hold up very well, judging by the reviews on the other IT luggage models. They’re offering decent quality with innovative design at low prices. It comes with a generous warranty of ten years by the manufacturer, which clearly proves their great build quality, reliability, and durability and is an indication that they stand behind their products. Overall they are good value for the dollar.